Tal Howard is trying to adjust to life after being held prisoner by the Chinese during the Korean War. During his time in camp, he befriended a dying soldier who confessed a secret about a small fortune he had stolen from his brother and hidden somewhere in his hometown. After repatriation, Tal finds it hard to settle down in his old life. He decides to visit the dying prisoner’s hometown and retrieve the money, which he hopes will change his life for the better. What he finds instead are semi-shady guys, women from the wrong side of the tracks, a new love, an old nemesis from the POW camp, and a difficult search for the money. 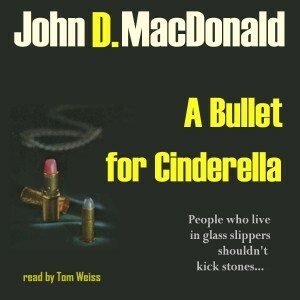 An early John D. McDonald novel in the public domain.